You know when you’re in your local Boots store and you’re hovering around the til area and they’ve got all these bits and pieces that you can’t help but put into your basket? Well this week, whilst I stood around deciding on whether I was ready to pay or not, I saw a big shiny stand for Seventeen nail varnishes. There weren’t very many colours left, which is always a good sign but I had never heard of the brand. I’m happy to admit I’m a bit of a nail polish snob, I’ve tried and tested a variety of brands and let’s be real, you get what you pay for. The cheaper brands tend to chip very easily or have to have a million coats before it looks remotely acceptable. Still, despite this self confessed snobbery, I was drawn to the stand and decided to pick one out. I’m not entirely sure whether it was because I initially thought of “seventeen cover magazine” from my America’s next top model binge watching days or because Boots is generally a reliable brand; either way, I thought I’d give the polish a go. 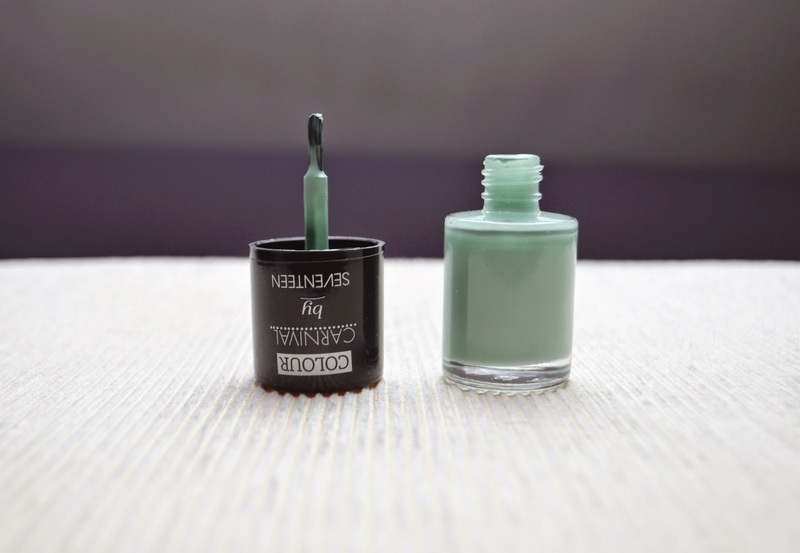 I’ve been wanting to replace my “gone fishing” from Topshop for a while now with another similar shade so I decided to opt for “Pale Green 053”. The bottle is a nice size so for £2.99, so if it worked well for me I’d definitely be happy about getting my moneys worth. The brush itself is lovely, it’s wide so it covers quite a bit of nail and the bristles are soft so it doesn’t leave streak marks – hurrah! The varnish itself was a bit of a let down for me. The bottle says all it requires is two coats and I’d be all set. I don’t know if it’s just this colour in particular however it took me at least 3 coats and sometimes 4 to get the nails fully opaque. My other gripe was that the finish wasn’t very shiny. It was more of a matte sheen, which was….different. What I did love was that it dried really really quickly, so no more waiting around frantically flapping my hands around! After three days, I noticed that I only had one tiny little chip on my pinky. I’m not sure whether this was because I had layered on such a huge amount of polish on my nails or because the product is actually pretty chip-resistant. 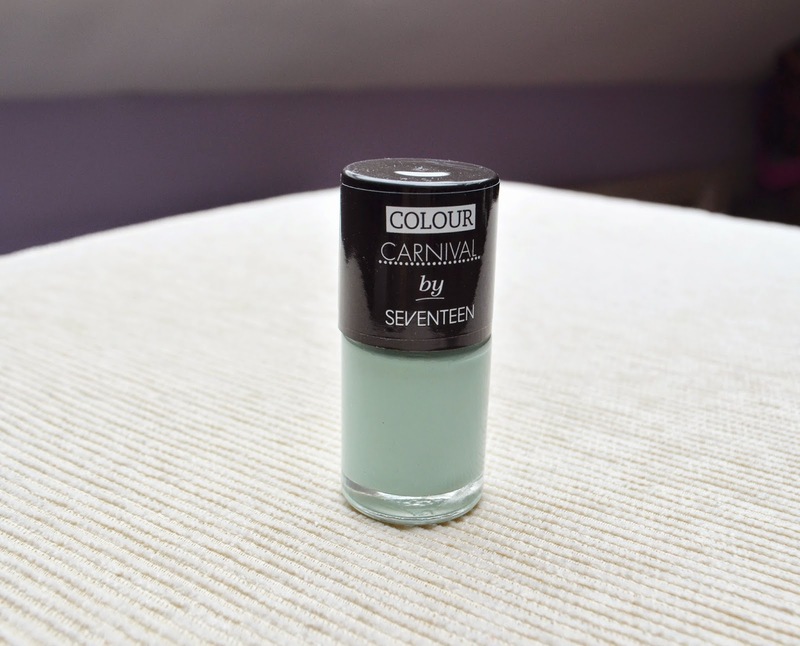 Despite the pros and cons being pretty neck and neck for Colour Carnival, I’m still undecided on whether I would purchase it again. More than anything the finish wasn’t what I had expected and I guess if I don’t like the finished look then there’s not much point in re-purchasing. Sorry Boots, this one’s a no from me! 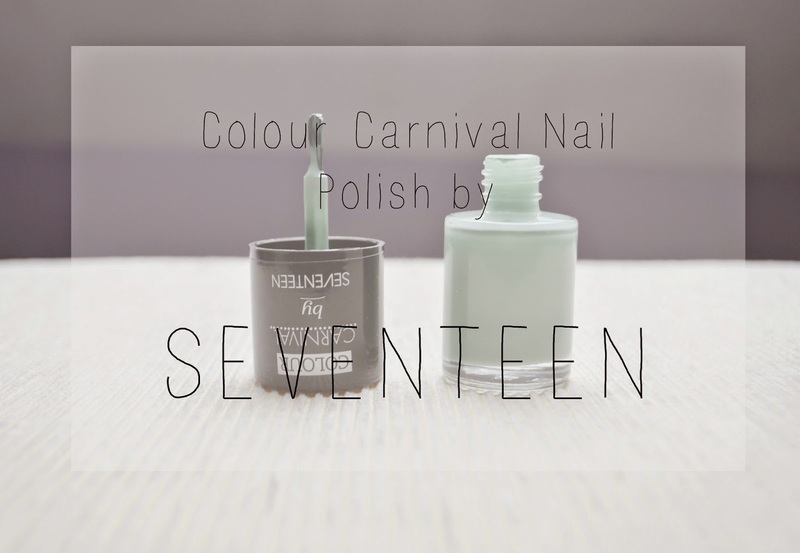 Have you tried Seventeen polishes before?